What are the best flowers for men? Flowers are a unique and charming way to let the men in your life know you care. They’re certainly not just for women anymore! Flowers can be the perfect solution for a man who’s hard to buy for when it comes to gifts. Plus, there are some occasions when gifts or experiences just aren’t the done thing. So why not consider flowers or a plant instead? Aha! But where to start? What are the best flowers for men? When it comes to the type of flower, there’s no wrong answer really. Some flowers are more masculine than others of course. 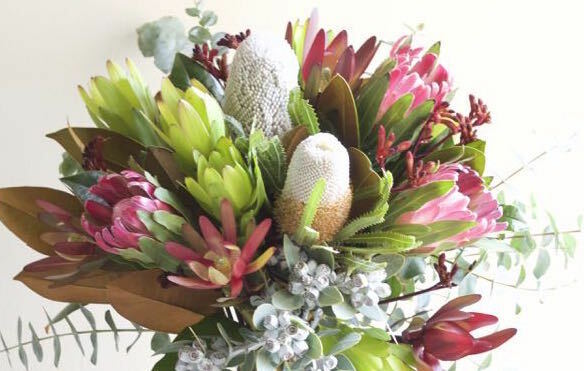 Think along the lines of banksia, protea andAustralian wildflowers versus roses or peonies. And there are some fantastic plants that are great for men and are low maintenance too, such as succulents, orchids or seasonal plants. However, just because you’re looking for flowers or a plant for a man, doesn’t mean they need to be overflowing with testosterone too! One thing we would recommend, though, is to order a flower arrangement, rather than a bouquet, if you go down the flowers route. 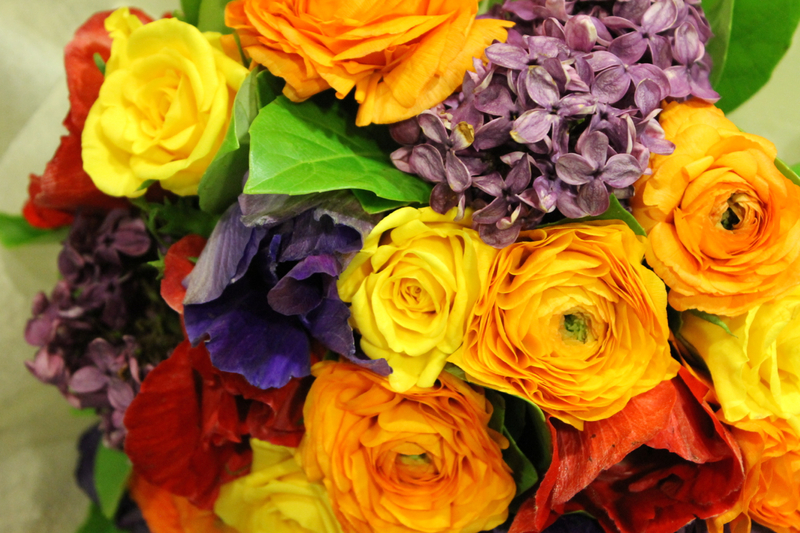 Flower arrangements are created in our boutique florist in Lane Cove, Sydney, and are handed over ready to be on show. There is no need to fuss with trimming or arranging stems or finding a vase to fit. All the lucky guy will need to do is find the perfect spot for them to sit. Plus, our team will have already added the flower food, so they’ll be very easy to care for – just a top up of water every few days. If you’re after an arrangement to cheer up an unwell friend, bright bouquets or smaller posies in vases are spot on to send to a hospital or bedside. Or if the occasion is more solemn, blooms of whites and blues, purples, yellows and Australian natives can help to convey your condolences. 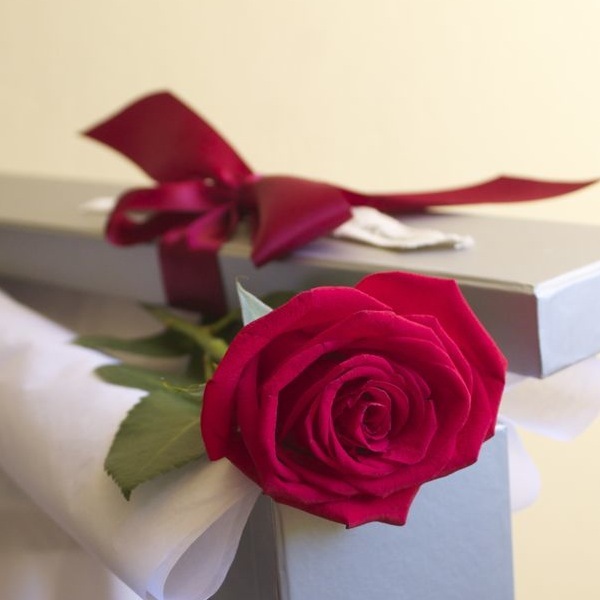 For the ultimate, romantic and modern gesture, send a single red or orange rose to your love along with some champagne and chocolates for you to enjoy together. No matter what the occasion is, our team love having a chat and finding the perfect floral solution for you and recommending the best flowers for the men in your life. Pop in to our boutique, call us or browse through our suggested arrangements online.